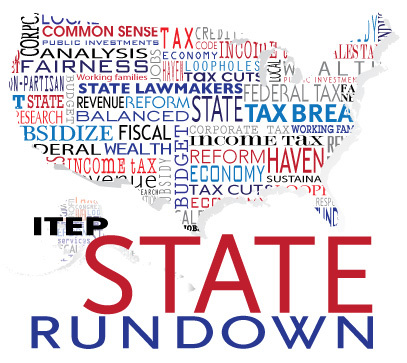 In this special edition of the Rundown we bring you a voters’ guide to help make sense of tax-related ballot questions that will go before voters in many states in November. Interests in Arizona, Florida, North Carolina, Oregon, and Washington state have placed process-related questions on those states’ ballots in attempts to make it even harder to raise revenue or improve progressivity of their state and/or local tax codes. In response to underfunded schools and teacher strikes around the nation, Colorado voters will have a chance to raise revenue for their schools and improve their upside-down tax system at the same time by enacting a graduated income tax, though similar efforts in Arizona, Hawaii, and Massachusetts were litigated off of those states’ ballots by opponents. Several states will decide on revenue increases for other specific purposes, such as tobacco, alcohol, and gasoline taxes for services like health care, law enforcement, and roads. And there’s even a carbon tax going to voters in Washington state. One of several constitutional amendments on FLORIDA ballots this year is Amendment 5, which would require a two-thirds “supermajority” vote in the state legislature to raise any tax or fee, even to close existing loopholes and special exemptions. Passing the amendment in Florida would effectively lock in the state’s regressive tax structure and inadequate education funding, worsening the already troubling levels of inequality in the Sunshine State. Newspapers, observers, and advocates are sounding the alarm about this harmful amendment all around the state. One of the six NORTH CAROLINA constitutional ballot initiatives this year would amend the state’s constitution to lower the cap on personal income taxes from ten to 7 percent. This initiative unnecessarily ties the hands of state legislators who will undoubtedly, at some point, need to consider ways to raise revenue to fund key services or address losses in a downturn. Enshrining a tighter cap on the state’s income tax in the constitution only ensures that less revenue can be raised through progressive revenue-raising options. 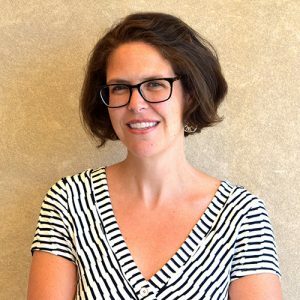 The North Carolina Justice Center and our own Meg Wiehe, a North Carolina resident, provide insightful arguments against the cap. OREGON’s constitution requires bills that “raise revenue” to receive support from three-fifths of all House members to pass. A 2015 state Supreme Court ruling found this requirement excluded bills that raised revenue as a product of changing tax exemptions or credits. Measure 104 seeks to extend the requirement to apply to changes in fees, deductions, exemptions, or credits that would net positive revenue to the state. A supermajority requirement on all new revenue bills threatens meaningful tax reform in the state by giving a legislative minority the power to veto investments in public priorities as well as efforts to eliminate wasteful loopholes. For more reasons to be concerned about this procedural constraint, read this analysis from the Oregon Center for Public Policy (OCPP). ARIZONA’s Proposition 126, dubbed the Protect Arizona Taxpayer Act, would eliminate the state’s ability to impose sales taxes on services. This proposal limits legislators’ options to raise potential revenue and strengthen the long-term viability of the state’s sales tax, particularly as our economy continues to shift toward the service sector. OREGON doesn’t have a statewide sales tax but it doesn’t prohibit localities from enacting their own. Given recent activity in some cities to pass soda taxes (including Oregon’s own Multnomah County), this is enough of a threat for the beverage industry and large grocers to strike preemptively by advancing Measure 103, which would prohibit localities from enacting taxes on “raw or processed food or beverages intended for human consumption,” excluding alcohol, tobacco, and marijuana. What’s not to like? Read more from OCPP. A similar initiative is at play in WASHINGTON state and funded by the same special interests. Initiative 1634 would prohibit local governments from imposing sales or other taxes or fees on groceries. Existing taxes would be grandfathered in (aka, Seattle’s new soda tax) but could not be increased, and alcohol, tobacco, and cannabis products would be excluded from the definition of groceries. Voters in COLORADO will decide via Amendment 73 whether to increase educational funding for preschool through 12th grade by levying a graduated income tax and increasing the corporate income tax rate—fixing the schools by fixing the state’s upside-down tax system. The measure would also reduce local property taxes levied by school districts, shifting more of the responsibility to adequately fund education to the state by asking the top 8% of taxpayers—those making more than $150,000—to pay their fair share. Funds raised from the new taxes are designated to increase per-pupil funding statewide, as well as increase spending for programs addressing the special needs of differently-abled students, preschoolers, and second language learners. For more details, read here. State Supreme Court rulings on technicalities in both ARIZONA and MASSACHUSETTS kept initiatives off of ballots, despite popular support. The Arizona Court ruled that the ballot language for Proposition 207 was unclear. If enacted, the Invest in Education Act would have raised taxes on the state’s wealthiest to fund public education and adding a tax surcharge of 3.46 percent on income over $250,000 single/$500,000 married and 4.46 percent on income over $500,000 single/$1 million married. The Massachusetts state Supreme Court struck down the Fair Share Amendment on the grounds that the language contained two separate and unrelated subjects. The initiative would have amended the state’s Constitution to create 4 percent surcharge on income over $1 million. Just last week, HAWAII’s Supreme Court ruled the state’s constitutional amendment ballot question, that would have proposed levying a surcharge on high-income investment properties, invalid. The proposal has already been printed on state ballots, but will not be taken into consideration this November. As a result, state officials and advocates for public education are back to the drawing board, looking for new funding mechanisms to support the state’s education system. MAINE’s Question 1 establishes and funds a universal home care program that would provide in-home care for disabled and elderly Mainers. The program would be made possible through a progressive 3.8 percent tax (a 1.9 percent payroll tax on employers and employees, alike) on wage and non-wage incomes exceeding the threshold of wages subject to Social Security taxes ($128,400 in 2018). The proposal is designed to pick up where Social Security taxes leave off, asking high-earning Mainers to contribute more to keep those in need of care in their homes. When MONTANA’s legislature approved Medicaid expansion in 2015, it built in a sunset date of summer 2019 at which point lawmakers could end, alter, or decide to continue the program. I-185 gives Montana voters the opportunity to be the deciders. Approval of the proposition would increase the cigarette tax by $2 a pack, increase the tax on snuff, and tax vaping products for the first time. In exchange, Medicaid expansion would become permanent in the state, securing access to health care for 9.4 percent of Montanans who are covered under the expansion. A SOUTH DAKOTA ballot initiative would raise taxes on cigarettes and other tobacco products and devote the revenue to bringing down tuition costs at the state’s technical colleges. The tobacco industry has pumped $6.5 million into fighting the measure, more than both candidates for governor have raised combined, but supporters are having success arguing that the measure can help improve health while reducing “brain drain” to neighboring states where education is more affordable. CALIFORNIA Proposition 6 would eliminate taxes the state enacted in 2017 to fund transportation infrastructure projects while making it harder for lawmakers to raise needed revenue to invest in these projects in the future. If it passes, the state would lose $5 billion annually in funding for transportation projects across the state and future proposals to raise transportation taxes or fees would be subject to the additional procedural hurdle of requiring voter approval. Read the California Budget & Policy Center’s analysis of Proposition 6 here. COLORADO voters will see two ballot proposals that present competing visions for funding transportation needs in the state—Proposition 109 and Proposition 110. Prop 109 authorizes bonds for road and bridge projects that have to be paid back through existing state funds instead of through new tax dollars. In practice, this will mean taking money from education, health care, and other state priority investments to fund for infrastructure projects. Prop 110 on the other hand authorizes support for a wider range of infrastructure needs and would fund the work through a dedicated revenue stream—new revenue coming from an increase in the state sales tax rate. For an analysis on why Proposition 110 is the more responsible choice for roads and other state priorities, read Colorado Fiscal Institute’s analysis here. MISSOURI voters will decide on a long-overdue gas tax update in November, which would raise the rate 2.5 cents per year over four years. Gov. Mike Parson is in favor, pointing out that the state has added more than 6,000 miles of highway since the last time the gas tax was increased in 1996. If passed, the increase would raise $123 million for road infrastructure and $288 million for state law enforcement. CALIFORNIA’s Proposition 5 would expand property tax breaks for certain households, primarily older, wealthier homeowners at the expense of other homeowners while stripping cities, counties, and special districts of approximately $1 billion annually. For a detailed description of the proposal and the issues implicated, check out the California Budget & Policy Center’s analysis here. A carbon tax initiative is getting a second bite of the apple in WASHINGTON. If it passes, I-1631 would levy a $15 per metric ton fee on carbon emissions—a fee that would increase annually until the state achieves its goals for reductions in greenhouse gases. The revenue from the fee would fund various environmental programs and projects. While carbon tax legislation has been introduced in seven states (and proposed for study in a few more), none has yet enacted one. Interested in the impacts of the proposal beyond the state’s budget? Read here for analysis from the Union of Concerned Scientists. If you like what you are seeing in the Rundown (or even if you don’t) please send any feedback or tips for future posts to Meg Wiehe at [email protected] Click here to sign up to receive the Rundown via email.